Seems this film has had people in fits of tears, and suggesting not to watch it in public etc. 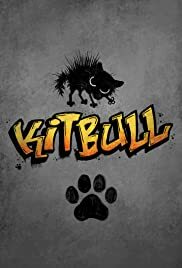 The plot is a small cat that befriends a pitbull that is used for dogfights, and it is animated to allow them as much cute character to clash with this dark scenario. I didn't find it worked for me and I wonder if it was that it always felt it was trying too hard for what it was after. This very obvious approach/goal put me off and did stop me buying into the two characters. This being associated with Pixar makes that a surprise since they have a long record of making me emotionally connect to all manner of objects and characters who are not real but yet give me the feels. Here though it was a bit much, even if I did like the animation style.